HomeCandy & Snacks Jolly Rancher Watermelon 160 Ct.
Watermelon Jolly Rancher offer a sweet watermelon flavor in a long-lasting hard candy that kids love. The individually wrapped candies are perfect for treat bags, candy bowls, and pinatas. Each box contains 160 pieces of candy. 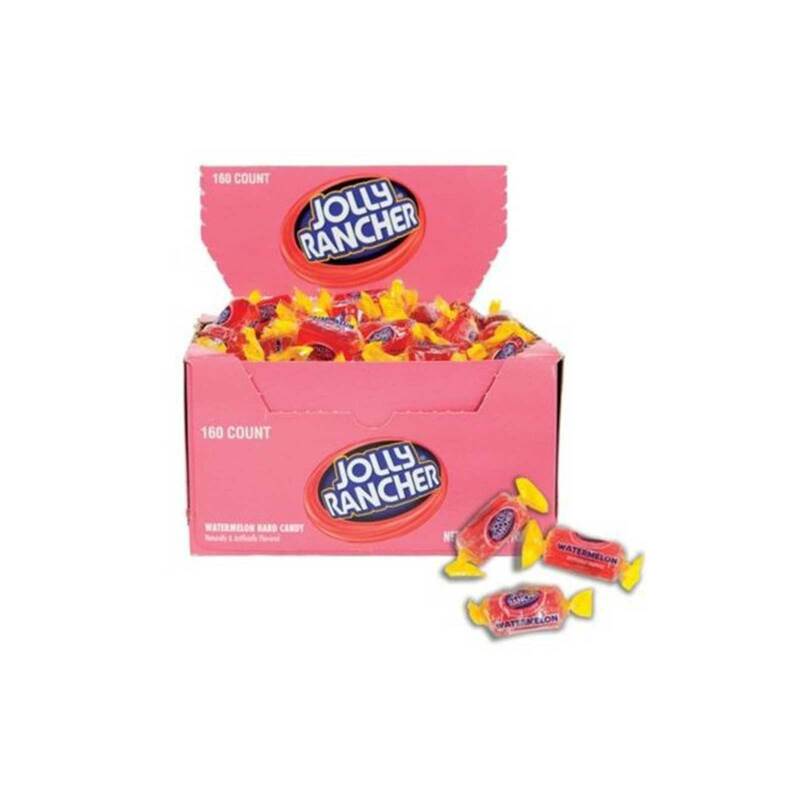 You can buy Watermelon Jolly Rancher in bulk at a wholesale price at Volt Candy Online. 1 review for Jolly Rancher Watermelon 160 Ct.